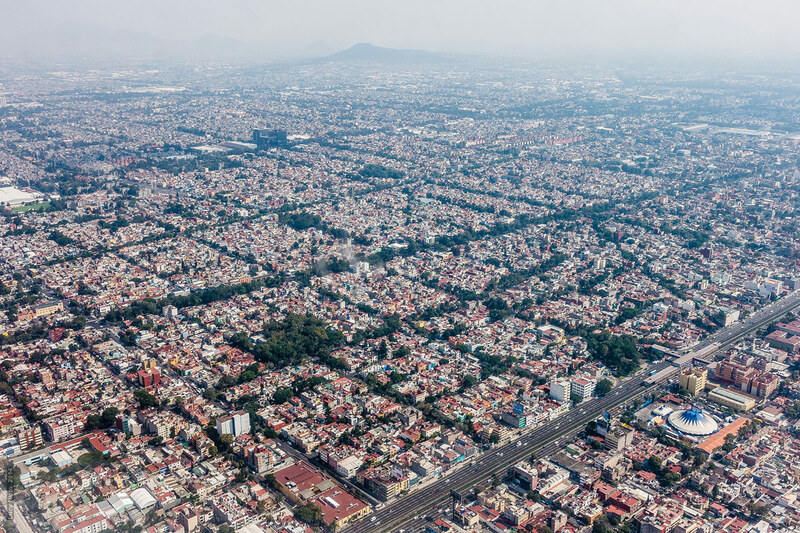 This week, we’re pairing the urbanNext article below with AN’s “How Can Cities Double down on the Climate Change Fight?” The article below was authored by Alejandro Zaera-Polo, an architect and co-founder of London/ Zurich/Princeton based Alejandro Zaera-Polo and Maider Llaguno Architecture (AZPML). The agency that cities have in the construction of the Anthropocene is something that can no longer be ignored. We are assisting in a veritable paradigm change, one that requires a reformulation of the cosmologies upon which the contemporary tools of urbanism have been constructed. Arcane technologies and rituals of the urban were often based on mythological references. Ancient cosmologies were mechanisms of comprehending the natural world which enabled cultures to understand and operate within the natural environment. The oldest ones predated human settlements and were aimed at explicating natural phenomena and regulating the modes of relation between humans and nature. As the urban environment became increasingly controlled by human agency, cosmologies were discarded as systems of urban knowledge and governance. Typology and monumentality became primary tools for urbanism, with the structure of human relations prevailing over the physical and material determinations of the environment. The affairs of cities (politika) became an entirely artificial endeavor. The current prevalence of artificial environments and politics—cities—has tended to naturalize technology while de-politicizing nature. However, the pressing nature of ecological concerns and the scale of technological developments call for the imminent city to re-politicize both nature and technology and construct new urban cosmologies which can support the development of new urban sensibilities. An entirely new set of urban technologies have since appeared, radically transforming urban protocols and experiences: smartphones, GPS, electromobility, and biotechnology. Yet, these technologies still remain largely outside the practices of urban planners and designers, which remain trapped in the humanistic precepts of modern urbanism.Far from producing urbanity, urban functionalism has dismantled the commons and undermined urban democracy. Clichés, such as the relevance of public spaces as guarantors of urban communities and urban democracy, are as problematic as the inability of architects and urban planners to quantify the implications of density and urban form in the energy consumption or the determination of urban micro-climates. The idea that architects and urban designers can find effective agency in the distribution of human functions—such as work and domesticity—is at best naïve. Cities have become sources of extreme inequality and environmental degradation (in contempt not only of the demos, but also of all of the nonhuman constituencies that exist in cities), and these are even threatening the subsistence of cities and are pointing at insurmountable contradictions at the core of the current modes of economic integration. Theorists like Jeremy Rifkin and Paul Mason argue that we are already entering a post-capitalist world in which politics are shifting from a focus on capital and labor to a focus on energy and resources, and they have proposed new economies: shared economies of zero marginal costs driven by new technologies: peer-to-peer organizations enhanced by pervasive computation, sustainable energy sources, and carbon-neutral technologies. Does this scenario, determined by the rise of the Anthropocene and the crisis of neo-liberal capitalism, imply that the work of urbanists and architects has become futile? That the new commons will be entirely developed within social media? Has urbanism been expelled from politics, and is it now at the mercy of securitization and capital redistribution? On the contrary, some economistsargue that urban planning, housing, and real estate hold the key to resolving urban inequality. Cities precede the installation of political systems, and have systematically outlasted them, often constituting themselves in mechanisms of resistance to power. For cities to become devices for the common good rather than instruments producing and implementing power structures (and often inequality or ecological destruction), urban practices need to locate resources and technologies at their core. Rather than splitting urban life into functions easily captured by power, we should try to identify first where the imminent urban commons are and how to reconstruct them as instruments of devolution and ecological awareness, constructed transversally across technologies and resources. We have tried to outline what those might be, and how they may become the source of a revision of urban practices. This article originally appeared as Imminent Urban Commons on urbanNext. Le Corbusier, Jean Giraudoux, and Jeanne de Villeneuve, La Charte d’Athenes (Paris: Plon, 1943). Jeremy Rifkin, The Zero Marginal Cost Society: The Internet of Things, the Collaborative Commons, and the Eclipse of Capitalism (London: Macmillan, 2014. Paul Mason, Post Capitalism: A Guide to Our Future (London: Allen Lane, 2015); and Paul Mason, “The End of Capitalism Has Begun,” The Guardian, 17 July 2015, http://www.theguardian.com/books/2015/jul/17/postcapitalism-end-of-capitalism-begun. Matthew Rognlie, “Deciphering the Fall and Rise in the Net Capital Share,” BPEA Conference draft, March 19–20, 2015; http://www.brookings.edu/~/media/projects/bpea/spring-2015/2015a_rognlie.pdf, accessed 5 October 2016. Thomas Piketty, Capital in the Twenty-First Century (Cambridge, MA: Belknap Press: An Imprint of Harvard University Press, 2014).